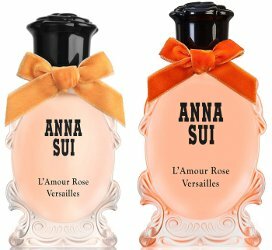 Let the wave of new spring fragrances begin! 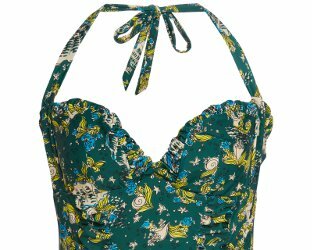 Here’s one from Anna Sui, and it’s fit to be part of this seasonal “wave” (hah) for more than one reason: it’s a flanker to 2017’s Fantasia, named Fantasia Mermaid. 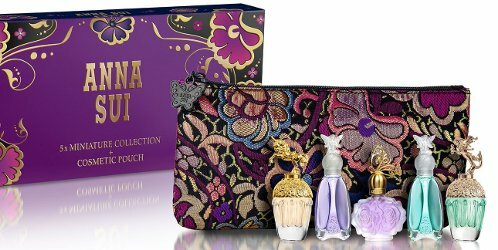 If you're a fan of the Anna Sui boho aesthetic and you love miniatures, this is for you: the 2019 version of the Anna Sui mini set, with 5 ml bottles of Secret Wish, Lucky Wish, Fantasia and Fantasia Mermaid, and a 4 ml bottle of La Vie De Boheme. Includes a jacquard fabric pouch, $50. Model Willow Hand (plus unicorns) for Anna Sui Fantasia.